Intuitive connection to the Cloud. Print-from and scan-to popular cloud apps directly from the 3.7" color touchscreen including Dropbox, Google Drive, Evernote, OneNote and more (Requires internet connection and an account with desired service). Help save time by creating custom shortcuts right on the touchscreen for your most used features. Connect your way. Versatile connection options with built-in wireless, Ethernet and Wi-Fi Direct or connect locally to a single computer via USB interface. 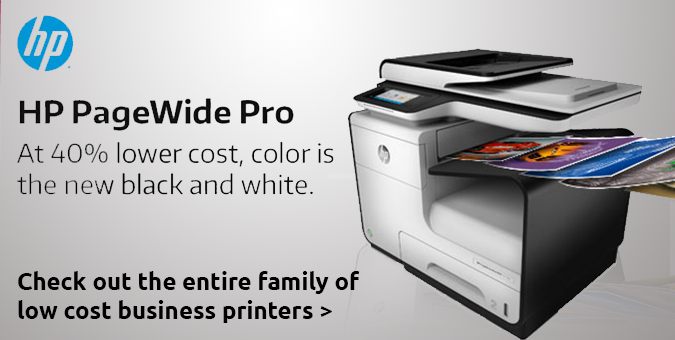 All-in-one laser printer delivers full-featured performance including print, copy, scan and fax for busy home and small offices. The up to 50-sheet automatic document feeder enables multi-page copying, scanning and faxing with fast print speeds of up to 25 pages per minute. The manual feed slot accommodates varied printing needs and can handle a variety of paper types and sizes including cardstock, envelopes and more. The 250-sheet capacity adjustable paper tray helps improve efficiency with fewer refills and handles letter-size or legal-size paper. Connect with versatile options including built-in wireless, Ethernet or USB interfaces and print wirelessly from mobile devices. Save time by creating custom shortcuts on the 3.7' touch screen that also enables you directly print from and scan to popular cloud services including Dropbox, Google Drive, Evernote, OneNote and more.